2. Navigate to the Redirects under Domains. 3. Choose the type of redirect you’d like to setup. Permanent (301): this redirect will update a visitors’ previous bookmark. Temporary (302): it will redirect the visitor or search engine, but not make permanent changes to your sitemap/visitors bookmark. NOTE: 301 redirects are permanent. They mean that the page has moved and they request search engines to update the URL in their database. If you want to redirect a single page or directory, use the text field to enter the file/folder. Only redirect with www. : The redirect will work if visitors type www. at the beginning of the URL. 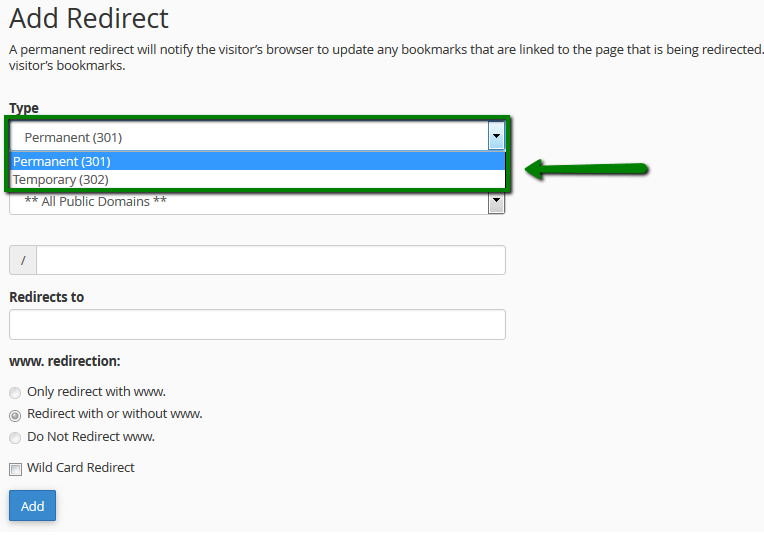 Redirect with or without www. : The redirect will work regardless of using www. Do Not Redirect www. 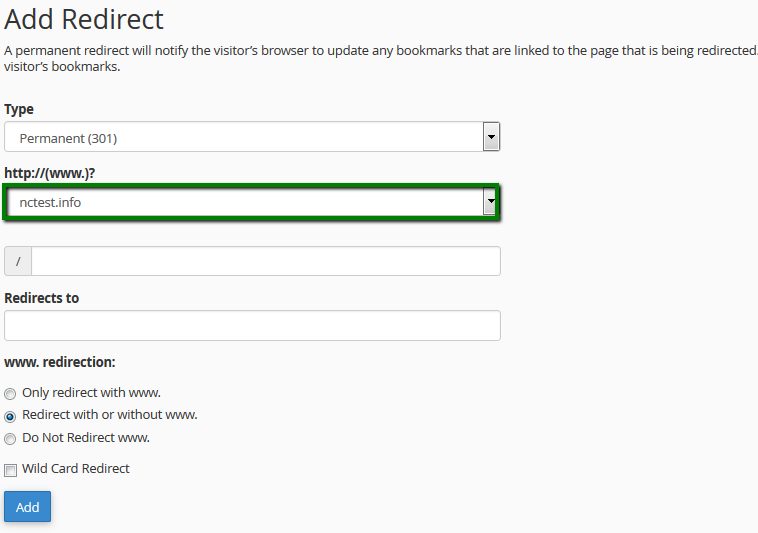 : The redirect will not work if visitors are using www. as a part of the URL. 7. Check Wild Card Redirect if you would like all files in the current directory to be redirected to the same files names in the new directory. 8. Click on the Add button in order to create the redirect.